For those in Japan, Taiwan, Hong Kong, Macau and the US, the launch day for Dragalia Lost has finally arrived and in typical fashion, the means to play the game in other territories have become available. 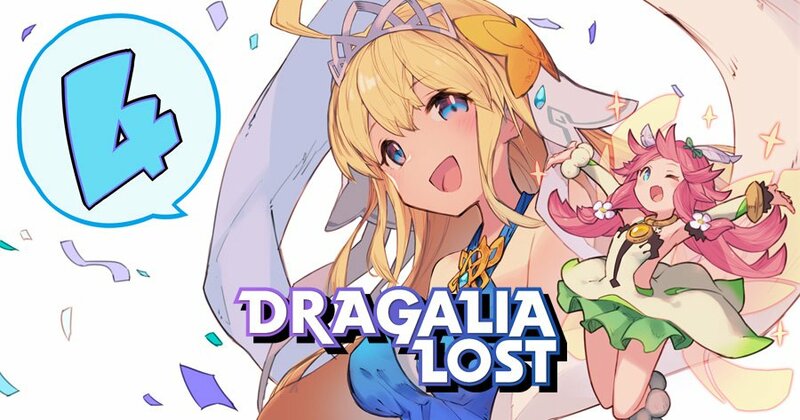 By no means will we provide links or explain how you can play Dragalia Lost, but there are a few things we do need to address, especially those of you who are considering playing the app by other means. First and foremost, even if you do get the game working on your mobile device, if you are planning on syncing it to your Nintendo account, you can’t, unless the account is associated to any of the regions the game is available in. Naturally, you can put the time in to change your region and spend any store credit you possess, or you can sync to another Nintendo account you have got set up, which has the likes of the US as its region. Once you sync the game to your account however, you can not unlink the save data from your Nintendo account. Nor can you use multiple Nintendo accounts with the save data. As for how to unlink your Nintendo account after you’ve linked it to the game, you will have to delete your save data first. In short, there are some ways to go around syncing to a Nintendo account and getting Dragalia Lost and I won’t blame you for trying as the mobile does seem to be pretty great going by first appearances, but this might just turn out to be one of those instances where it is better to be patient as we have no idea what kind of punishments will be enforced on those who try to go around system. Regardless of whether or not we condone it though, we do decide our own fates after all and who are we to tell you what you can and can’t do. We’ve done our part and issued a warning, where you go through here, is up to you.